List Rules Vote up the Marvel Studios fan theories you think are true, vote down the ones you think are not. The Marvel Universe is ever expanding, and we're getting closer and closer to the Big Crunch ending of Phase 3 that will likely change the entire landscape of the MCU. But what does the future of Marvel entertainment look like? That's hard to say. That's not stopping anyone from guessing, though! Between the massive Marvel movie plot holes and Marvel studios tropes, there is plenty of room for some compelling fan theories. Fan theories about Marvel studios are ubiquitous, with speculation about when and how the cinematic universe will crossover with the television universe, as well as hypotheses about the expansive individual universes in and of themselves. You've probably heard a lot of fan theories about the MCU, and, let's face it, many of them should come with tinfoil hats. But then you get into some that really make you think. Wait. Was Peter Park actually in Iron Man 2? Some of the fan theories about Marvel's Netflix series and the MCU might actually make you gasp, or laugh out loud. Or both, simultaneously, until you're doing a weird gaspy, laughy, kind of choky thing that makes the strangers on the bus look at you with a potent mixture of suspicion and disgust. So, let's find out what might be next for the Marvel Studios universes. Peter Parker is a huge fan of Tony Stark. We saw as much in Civil War, as he practically wet his pants when he met him. Is it possible he's such a huge fan, at least in part, because Iron Man saved his life? This is a very popular fan theory. 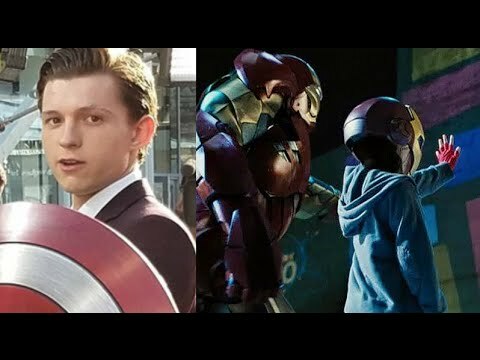 Basically, it suggests the little boy in Iron Man 2 (the one who faces off against a drone to be saved by Tony at the last second) is in fact Peter Parker. YouTuber FilmJunkee can't be credited for the theory, but he does do a solid explication of it, which you can watch above. UPDATE: Spider-Man actor Tom Holland has now actually confirmed that little boy was indeed Peter Parker! What a magical world we live in. Does this theory make sense? BaronOlio's deleted Marvel theory on Reddit is so convincing there's a whole new theory circling around its deletion (essentially, it was too close to home, so Fox and Disney squashed it). The original theory argues that all of the differences in the MCU and Fox Marvel properties can be explained by the existence (or non-existence) of Hydra. In the MCU, Hydra rose to power in Germany, which preceded and superseded Hitler, so the Holocaust never occurred. As such, Erik Lehnsherr was never traumatized by the Nazis, releasing his latent powers. Erik never met Charles Xavier and they never formed the X-Men. Mutants exist in the MCU, but they are isolated from one another. The reverse is true in the Fox universe. Hydra never rose to power, meaning S.H.I.E.L.D. was never created, as they wouldn't have had a purpose. Thus, Captain America was never designed, Tony Stark never came across rare or alien tech, etc. Overall, it's a pretty elegant solution to a well-known problem. 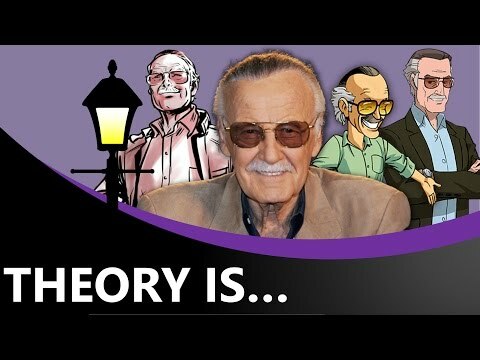 "Stan Lee as a Watcher" has been a fan theory for years. In fact, there's even some notion that James Gunn (and the MCU power that be) confirmed Stan's connection to the Watchers in Guardians Vol. 2, as a nod to this very fan theory. Well, now that the theory's confirmed, it remains to be seen what exactly Stan's role is with the Watchers. According to YouTuber The Lamppost, he is none other than Uatu, the Watcher responsible for observing the quadrant of space including Earth (you can watch the video explanation above). In the source material, Uatu has a tendency to break his oath as a Watcher to not intervene with the goings-on of his charge, and we have yet to see Stan do more than watch, so maybe they are not the same. Or maybe Stan Uatu Lee will step into the fray in Avengers: Infinity War and help the heroes thwart Thanos. Let us all wish real hard. This short but sweet theory offered by razzy1319 on Reddit suggests that Scarlet Witch got her powers from the Aether (Reality Stone) and Quicksilver got his powers from the Tesseract (Space Stone). This is actually quite a convincing theory for two reasons: 1) The Tesseract is blue and Quicksilver's color scheme and manifestation of his powers are blue. Likewise, the same is true for Scarlet Witch and the red Aether. 2) More notably, their powers align with those that the specific stones would grant. The Aether is the Reality Stone, allowing the user to manipulate reality, which is what Scalet Witch does. The Tesseract is the Space Stone, which grants the wielder super-speed, which Quicksilver obviously possesses.